Home > Vitamins & Food > Do We Need to Buy Vitamin-enriched Cereals? Many breakfast cereals are enriched with extra vitamins and minerals, and this can be a boon for busy parents, or people concerned that they are not getting enough vitamins in their diet. However, not all vitamin-enriched cereals are the same, and sometimes there can be too much of a good thing. Why Are Some Cereals Vitamin-Enriched? 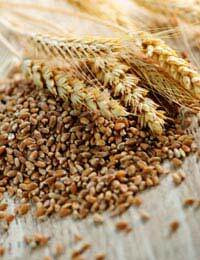 Most of the vitamins in whole grain cereals are in the bran and germ (part of the grain). In cereals that are not based on whole grains, the grain (usually wheat or rice) is highly processed and the bran and germ are stripped away. Some cereals are enriched just to add back the nutrients that have been removed in processing. Others are fortified to add extra vitamins and minerals at higher levels than those that are naturally present, or to add in extra vitamins and minerals that are not normally present, as a healthy extra. When looking at vitamin-enriched cereals, it’s important to check the labelling. Compare the vitamin-enriched cereal with a whole grain cereal – are the levels of vitamins in the enriched cereal the same as those in whole grain cereals, or are they higher? Also look at the levels of sugar, salt or fat (including saturated fat) – have the vitamins just been added to a cereal that is high in these, to make it appear healthy? Highly processed and sweetened cereals are great as an occasional treat, but whole grain cereals make a healthier breakfast, and release their energy more slowly during the day, rather than giving a quick sugar fix. Which Vitamins Occur Naturally in Cereals? vitamin B1 (thiamin or thiamine) – helps keep nerves and muscles healthy and aids the breakdown of food into energy. vitamin B2 (riboflavin) – helps keep skin, eyes, nerves and mucous membranes healthy, and aids the production of steroids and red blood cells. vitamin B3 (niacin) – helps keep the nerves and digestive system healthy, and aids the breakdown of food into energy. vitamin B5 (pantothenic acid) – aids the breakdown of food into energy. vitamin B6 (pyridoxine) – helps form haemoglobin for red blood cells and aids the production and storage of energy from proteins and carbohydrates. vitamin E – antioxidant – helps fight infections and protects the heart. Vitamin-enriched cereals can be useful as part of a balanced diet, especially for children who won’t eat wholegrain cereals. However, many highly processed cereals are high in sugar and salt. For people who eat a varied diet and take a multivitamin, eating one or two portions of vitamin-enriched cereals a day as well may mean getting an overdose of certain vitamins – check the packet to see exactly how high the levels of vitamins are in each bowlful. In 2004, the Danish Government banned a number of vitamin-enriched cereals and cereal bars following concerns that the combination of the vitamin-enriched cereals and the Danish diet would mean that people’s daily intake of vitamins and minerals would be too high, which could lead to side effects. Are Vitamin Enriched Soft Drinks Worth the Money?